Are you interested in learning how well you’re performing on Twitter? How many people are viewing your tweets? How many new followers you’ve gained? You can find all of this information and more for free, without using any 3rd party tools, by using Twitter Analytics. To get started, go to https://analytics.twitter.com and you’ll be able to sign in to your Twitter Analytics account. A lot of people don’t even know that this exists – but it’s completely free and available to everyone that has Twitter. You can use Twitter Analytics to manage both your paid advertising and organic stats. For the purpose of this article, I’ll be focusing on how to use Twitter Analytics for measuring your organic growth. The first thing I normally check when I log into my Twitter Analytics is the summary. The summary will give you a snapshot view each month of the amount of Tweets you’ve sent out, your Tweet impressions, profile visits, mentions, and new followers. Top tip: On its own, this data is great, helping you be able to see a quick snapshot of how you’re performing. But if you track this data month-on-month, over a longer period of time, then you will be seeing much clearer trends of how you’re performing. Next to your summary, Twitter will also give you data on your Top Tweet, Top Mention, Top Follower and Top Media Tweet for that month. This is good to see some of your high-level engagement across the Twitter platform. If you click on “Tweets” at the top of the page, you’ll be able to see how many Tweets you sent out each month day and how many views, engagements and clicks you got. You can click on the ‘choose date’ button, on the right of the page, to choose the time period you want to see your most popular Tweets from. In the example above I’ve selected ‘January 2018’. Next you’ll be able to select ‘Top Tweets’ to see your most popular tweets based on impressions and engagements for the time period you selected. Impressions means how many times your tweet was seen (this could also mean the same person saw it multiple times). Engagement means how many times someone clicked on your tweet. Looking at my top tweets each months allows me to see what my target audience are most interested in and what content gets seen or clicked on the most. I can then focus future tweets to talk about similar kind of content. For example, it seems like a lot of people in my audience like the idea of working remotely. And I’m not surprised, since that’s exactly the type of people I love working with. The next button at the top of your Twitter Analytics page is ‘Audience’. It allows you to see how many new people have followed you and what kind of people you have following you. As you can see, it’s growing steadily each month, with over 600 new followers every 30 days. If you keep scrolling down, you’ll be able to see lots of data on the type of people you follow as well. This gives me a rough idea of whether the type of people we are attracting are those that could be our potential client. In my case, I’m targeting professionals, business people and self-employed people – all of which are within my target audience. It’s also worth noting that this data isn’t a complete list of your whole Twitter audience. In fact, it’s only a small snapshot of those from some of your audience. Twitter has to partner with other data companies in order to get this information, and it doesn’t yet have this data for the majority of its users. Still, it does give you a rough idea of the quality and types of people following you. Although it’s great to see new followers, likes and engagement, in my opinion this isn’t the most important thing you need to be tracking. The most important thing you need to be tracking is the amount of leads and sales you generate in your business. 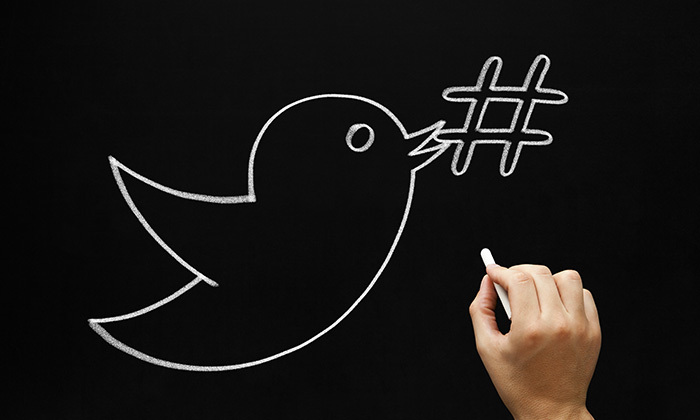 On Twitter, are you tracking how many leads you’re generating? Are you even generating new leads with potential clients each month? If you’d like to learn how you can do that, for free, then sign up to my online training session on ‘How to generate leads using Twitter for your business’. Look forward to seeing you there!